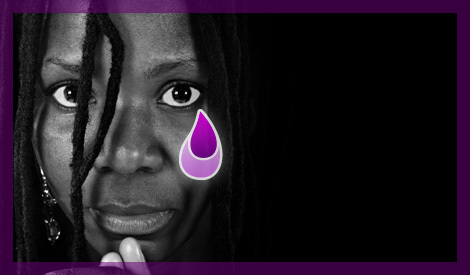 The Anti-Slavery Day Bill had its third reading on 29 March – Purple Teardrop Campaign supporters are watching closely to see if Royal Assent is achieved before Parliament is dissolved for elections. Soroptimists attended the 54th annual sessions of the Commission on the Status of Women at the UN in New York and Soroptimist representatives gave presentations on SI anti-slavery work, including the Purple Teardrop Campaign. And following February’s Swimarathon, the Purple Teardrop Campaign was honoured to receive a donation for £3,200 – a heartfelt thanks to all the swimmers who supported the event and helped raise such a tremendous amount of sponsorship.